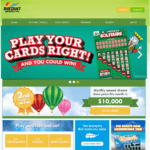 NetEnt Scratch Cards Games and Pokies. Play for Fun or Real Money. NetEnt or NetEntertainment as called is a Swedish company that came into existence in 1996. NetEnt software is used by more than 600 online casinos in the world and does not require any download. 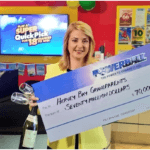 It is the number one provider of pokies and Scratch card games and has produced live dealer known as NetEnt Live Casino and smartphone dealer casino platform known as NetEnt Touch. The Mega Fortune progressive jackpot from NetEnt placed itself in Guinness book of records 2013. The casino software provided by NetEnt is of the highest quality. They use premium, cutting edge technology to power their games and software. Plus, the graphical standard is outstanding. There is an instant-play platform only, which means that players can quickly and easily access games without the need to download any software. This approach also allows games from the developer to be easily integrated into the game selection of online casinos. The company also excels in the field of mobile gaming. They have placed a strong emphasis on creating outstanding products for mobile, and have one of the best selection of mobile-friendly games you will find. Why to play at NetEnt online casino? There are a number of benefits to choosing NetEnt pokies and casino as they offer huge progressive jackpot titles such as Mega Fortune and Hall of Gods along with excellent suite of browser based (flash) games. NetEnt games and casinos are secure as the latest technology is used for all data encryption and this ensure that player data is kept safe and secure. 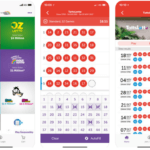 The company is licensed in Malta by the LGA (Lotteries and Gaming Authority) and they also approved all the new games that are developed by Net Entertainment. RNG testing is also carried out on a regular basis to ensure that fair gaming is adhered to. The only thing to note when playing inNetEnt is that these casinos are without download or no download version of the software and you can play NetEnt through the device’s built in browser in your smartphone. 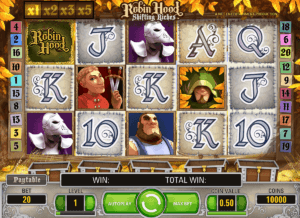 NetEnt’s pokies titles are loaded with wonderful graphics, sounds and animations of superb quality. Their 3D slot machines are the best you will find and this shows in the popularity of titles such as Jack and the Beanstalk and Gonzo’s Quest. NetEnt brands feature some of the most popular progressive jackpot titles including Hall of Gods, Mega Fortune and Mega Joker. 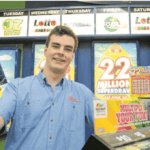 These jackpots can often reach tens of millions. New games are released on a regular basis and in keeping with technological advances, all the mobile games are built using HTML5 instead of flash which is becoming outdated. Players can also enjoy some of the best slots tournaments around. A live casino was introduced in 2013 and players can enjoy live roulette and blackjack with more games to be added as time passes. Like Lotto Scratch cards games all of these ticket games tend to follow the same basic format, presenting you with a basic card layout and the possibility to scratch silver foil from the top. Of course, each of the physical cards you’re able to buy in Lottery stores tend to have different underlying themes to them, and the online versions also follow that same format as well. In total, NetEnt have created over 18 of these products, each one with a different theme to the rest. Most of them do resemble the scratch cards that can still be bought in stores today, although one or two can be simply considered standard instant win games, which also offer their own specialities alongside. Some of the games offered by the company in this category include ‘The Lost Pyramid’, which has a scratchable area shaped like the triangular building and offers an almost ancient Mayan appearance to its interface. There’s also ‘Shoot 4 Gold’, which takes on the look of a fair ground shooting gallery, and ‘Tribble Knockout’, which is probably one of the cards which is closest looking to the physical ones. At one point, there was also a scratch card with a local jackpot included in it, which was entitled ‘Triple Wins High Roller’. However, it was replaced by the video pokies known as ‘Cosmic Fortune’. It just goes to show that even these ticket games can feature jackpots as well as the more popular products. How to play NetEnt Scratch cards? 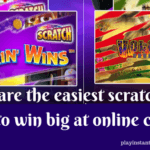 All you need is to find an online casino powered by NetEnt to buy Scratch card online and play. Register yourself at the online site by creating a real money account that can be done by making a deposit in NZD/AUD or BTC. Your wager is essentially the price you pay to purchase one of the cards, and you’ll pay this price for every round of the game you play. The value of this, differ from game to game, but it will always remain the same price. NetEnt’s products tend to have tickets costing either $0.50, $1 or $2 per game, and each of them provide a variety of different tools to scratch off the foil with, from chips to coins and even car keys on your mobile or PC screen. What provides these products with a bit more fun is the fact that you’re able to hear the scratching sound taking place whenever you remove the silver top. Most other instant win games can be considered as lotteries of sorts, and the developer does also provide these as well. These don’t particularly come in the form of scratch cards, but instead, offer up the possibility of being an instant winner within a few seconds. Such titles in this range include ‘Bubbles’ and ‘Marbles’. There are some excellent management features included in the NetEnt software and there is also full support for 22 different languages and 25 different currencies including NZD and AUD. You can play easily at NetEnt Aussie and NZ friendly online casinos to get the whole gaming experience and earn comp rewards, collect unique generous bonuses and much more just by playing with any of the NetEnt powered sites.